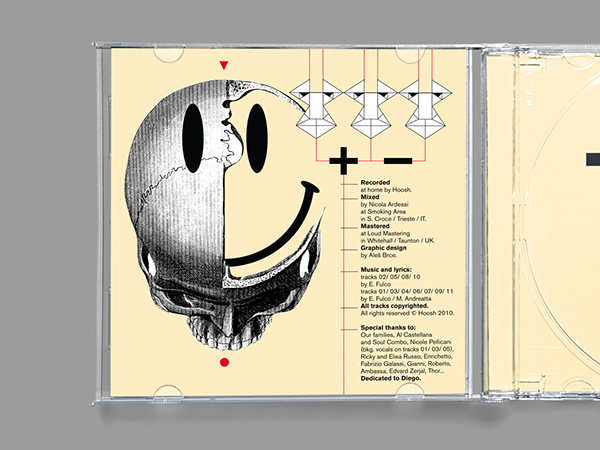 Hoosh is an elctornic rock duo based in Trieste (Italy) and London (UK). Their debut full length album was named Faces. 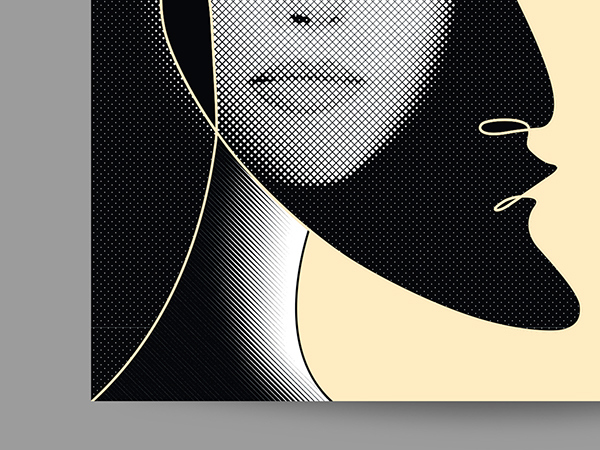 Easily, it was normal for me to fully represent in the creative process for the album’s layout the idea of Faces. Many Faces, different kind of Faces. Nothing but Faces. Not illustrations but kind of iconic sketches, different interpretations of people’s facial shapes. 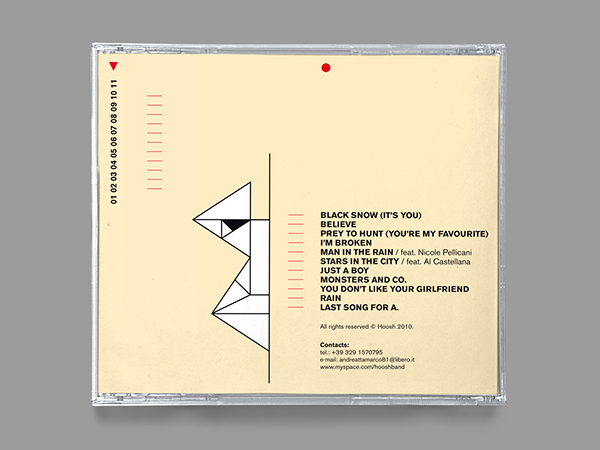 Partially taking inspiration by Bruno Minari’s drafts, the result is a CD artwork completely focused on this concept of multiple different faces fitting on the printed matter. All made with the use of only three colors (a creamy Pantone, black and red for some small details). 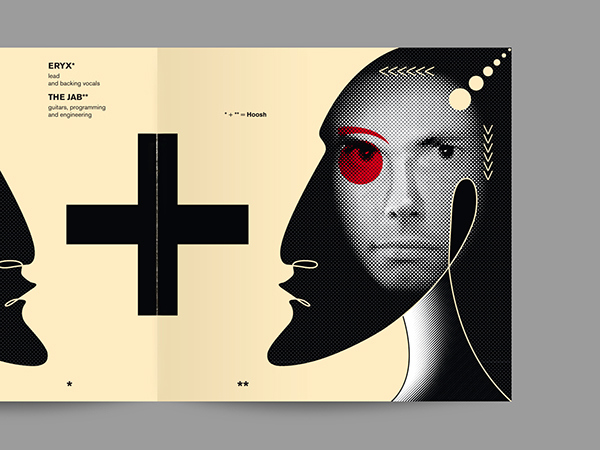 Then, on the inside booklet, we can find ‘Faces within Faces’. What’s that? Eryx (vocals) and The Jab (guitar + synths + programming) are the band members of the Hoosh project. 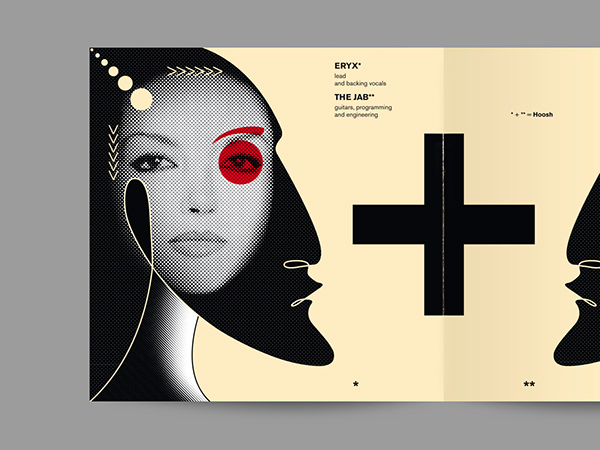 For the inside booklet of the CD I decided to realise two portraits of them putting their stylized photos inside two other illustrated Faces. The illustrated Faces are looking one to each other while the band members are looking directly at you, the listener. But all assembled in a composition that makes the shapes figuring out like one single thing. 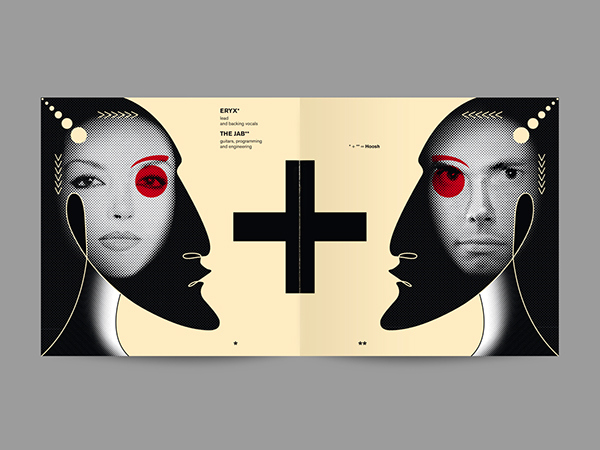 Offset tricolor print (Pantone 9160 U + Pantone 1795 U + Pantone Process Black) on 200 gsm uncoated white paper (booklet and inlay). 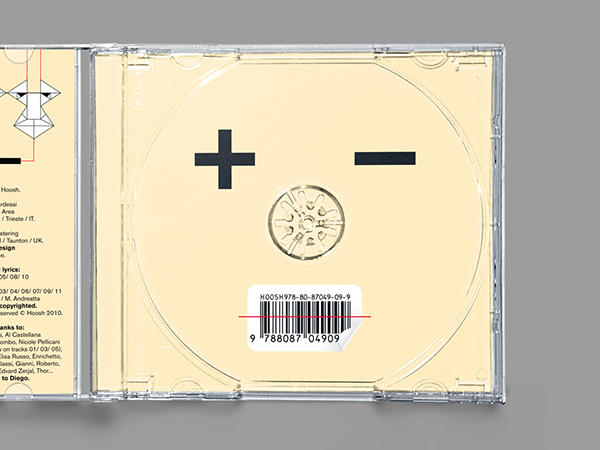 Silkscreen on cd label with the same Pantone colors, on a total white background surface. 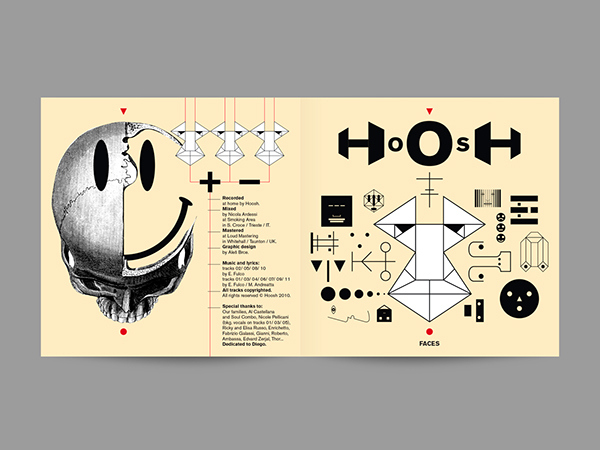 Layout for Hoosh debut album Faces.